New education, professional and ethical standards are a short-term challenge for all financial advisers, but head of the TAL-owned licensee Affinia, Marcus O’Sullivan, says once they’ve been negotiated the financial planning industry will be entering a new era. “We’ve got a very bullish attitude, not just as a licensee but from our practices as well,” O’Sullivan says. O’Sullivan says few industries are afforded an opportunity for reinvention quite like the one financial planning has been given. He says it is a chance to “kickstart the industry and move forward with very little legacy trail”. “Any opportunity where we can get better as a profession, we should see that and celebrate that,” he says. “We shouldn’t be running and hiding. Education standards is going to be a challenge, no doubt, but it’s only going to be a challenge for the advisers who actively choose not to participate in it, because they’re seeing it as a good end date for retirement or they’re redesigning their businesses so they sit in more of an MD or CEO role and they don’t actively give advice any more. O’Sullivan takes a similar view of the potential outcomes of the Royal Commission, which is due to produce an interim report next month and its final report next February. “What’s going to come of the royal commission is what’s going to come of it; that’s not the issue,” he says. O’Sullivan says Affinia is focused on the short-term issues of helping its advisers and their businesses through the transition to new standards but isn’t losing sight of the longer-term challenges and opportunities that will underpin advisers’ success well beyond that. • Continue to build out internal monitoring and supervision frameworks to ensure effectiveness and reliability. • Further develop the Affinia Advice Handbook– a step by step guide to giving advice in a post-FoFA world underpinned by the licensee’s business rules, procedures and professional standards requirements. • Actively seek opportunities for practices to be more productive and engage better with consumers via new technology, products, services and advice strategies. “We still have to be active in the advice we give, we’ve got to stay sharp in our skills, and all of those types of things,” he says. “We’ve got to make sure we help our advisers navigate the industry exam, education standards, those type of things. In the very short-term that’s what we’re focused on. Affinia’s embrace of the new standards reflects the fact its advisers are relatively young. The average age of advisers in its five largest advice businesses – those with 10 advisers or more – is about 35. And while that means the businesses in the network tend also to be at a relatively early stage of development, he says they are “more likely to grab hold of newer technologies, gains and efficiencies, and look to give advice in what the ‘new world’ is”. Affinia has about 120 advisers in its advice network, and its growth will depend on having the internal resources to continue to properly support its advisers. “In licensee businesses today you can only grow to the extent your internal resources allow that,” he says. O’Sullivan says he sympathises with advisers facing the prospect of additional study to upgrade their qualifications, having himself recently completed a bridging course at university. “I haven’t been to university in a long time, and you do forget how much work there is,” he says. “I do sympathise. But at the end of the day I’m a participant in this industry as well and I don’t particularly like reading the headlines every morning where people have been caught doing the wrong thing and the reputation of the industry as a whole is being tarred by the actions of the view. 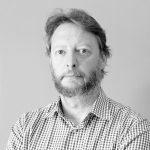 Simon has more than 30 years’ experience as a finance journalist, covering the superannuation, insurance, investment and financial planning sectors. He brings to CoreData a passion for higher standards of education, ethics and professionalism in financial planning, and the ability to craft simple but compelling narratives from often complex issues. From 2007 to 2017 he was editor of Professional Planner magazine, which was a leading voice in calling for higher standards financial planners. He has worked as an investment writer for The Australian and The Sydney Morning Herald; and spent 11 years at the Australian Financial Review where he was appointed deputy investment editor and editor of the Smart Money personal finance section. He was on the team that created and launched Money Management in 1987. Best in Show: Are you on the list? How well does your licensee support you through the challenges of being an adviser?